Chinedu Ikedieze is a Nigerian famous comic and dramatic actor who rose to fame after starring in the blockbuster movie ‘’Aki na Ukwa’’. He is also best known for acting alongside close friend and colleague, Osita Iheme with whom he often featured as child actors. 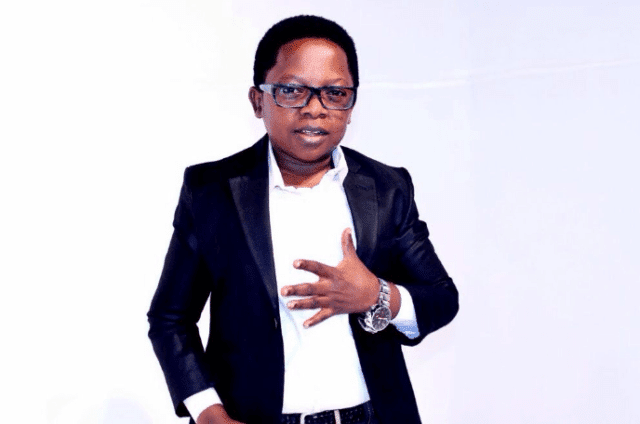 With a career that span over a decade in Nollywood, Chinedu Ikedieze received the Lifetime Achievement Award at the African Movie Academy Awards 2007. In 2011, the Nigerian government honored him as a Member of the Order of the Federal Republic of Nigeria. Chinedu Ikedieze was born on December 12, 1977, in Bende, Abia State, Nigeria to parents Mr. and Mrs. Michael Ikedieze Ogbonna. It is clear where the actor grew up but we know that he attended the Institution of Management and Technology (IMT), Enugu where he graduated with a degree in Theater Art. From a chat with Saturday Beats, we also learned that Ikedieze had a younger brother who died of sickle cell anemia. The actor described the day as the saddest day of his life and recalled the close bond they shared as brothers. He described his late brother as a free-spirited and funny person who always makes people laugh wherever he goes. The small but mighty actor disclose that before he started his journey to stardom in 2003, he had it rough financially. According to Ikedieze, his biggest fear in life is to become poor, which wasn’t a funny experience to reminisce. He also said he would do everything legal to ensure he doesn’t witness such in his lifetime. In affirmation of his international recognition as a movie star, the Nollywood actor visited Miami, Florida on a special invitation in 2018. On his IG page, he thanked Miami-Dade, the country office of the Mayor and the county commissioners for honoring his presence in the city.